Quick Links: Amazon Wheel Spacer Question Wiper delay switch Alpine Ilx-107 Short beds and dirtbikes. OME 887 / bilsteins installed Meadowlark for our best friends. Discussion in '3rd Gen. Tacomas (2016+)' started by rowsdower, May 3, 2018. All the info in this DIY is already available on the forum, but scattered and mostly related to the 2nd Gen. I was able to get the procedure for my Turd Gen (2018 TRD Off Road 2x4) but it took me a while. I’m writing this down so it is all in one place for the next guy. My truck shifted normally but I did this check for peace of mind. I ended up being about 1/3qt low so I’m glad I did it. First, understand how the transmission is set up. There is a fill plug, drain plug, and overflow plug. Fill and drain are self-explanatory. 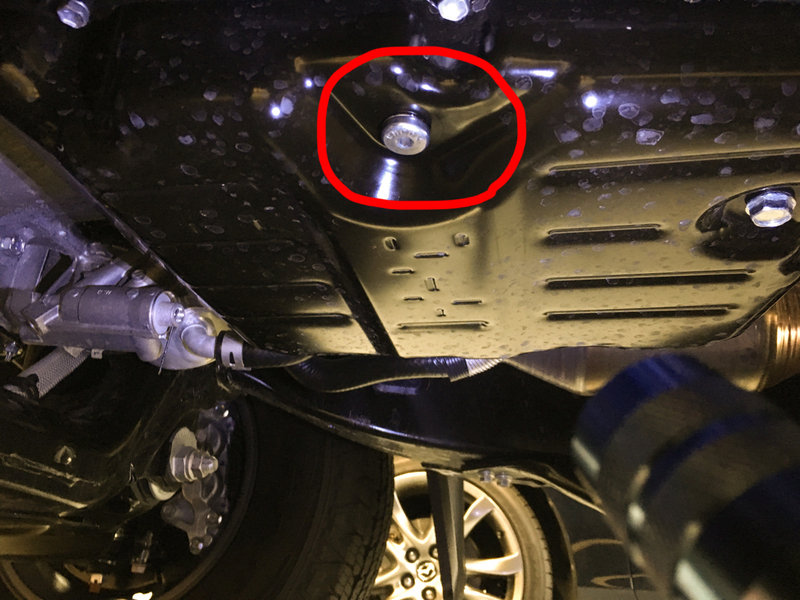 Behind the overflow plug is a tube sticking up into the transmission to a specific height. When there is extra fluid in the transmission, it flows into this overflow tube until the correct level is reached. If you are low on fluid, the level will be below the overflow tube (but you won’t know by how much). To get the proper fluid level, you need to overfill the transmission and then drain out the excess under the correct conditions. For the check to be accurate, the transmission needs to be in a narrow temperature window and the truck needs to be running. The procedure is simple. Add a quart of fluid, put the truck into temperature check mode, get it up to temperature, and remove the overflow plug. When fluid stops coming out, you’re done. Parts of this process are very time-sensitive, so have all your tools laid out and make sure you fully understand the procedure before starting. If you are coming from a 2nd Gen truck, the procedure should be familiar but the specifics of getting into temp check mode are different. 1. The truck must be level to get an accurate check. Park on level ground or jack up as necessary to get it level before starting. 2. “Safety Third” is my usual motto, but not when I'm getting under a vehicle. Put on your parking brake and chock a wheel, as you will be leaving the truck running and shifting between P and D repeatedly, then getting under the truck. This could go bad quickly so make the truck immobile. 3. With the truck off and cool, get under it and remove the 24mm transmission fill plug. 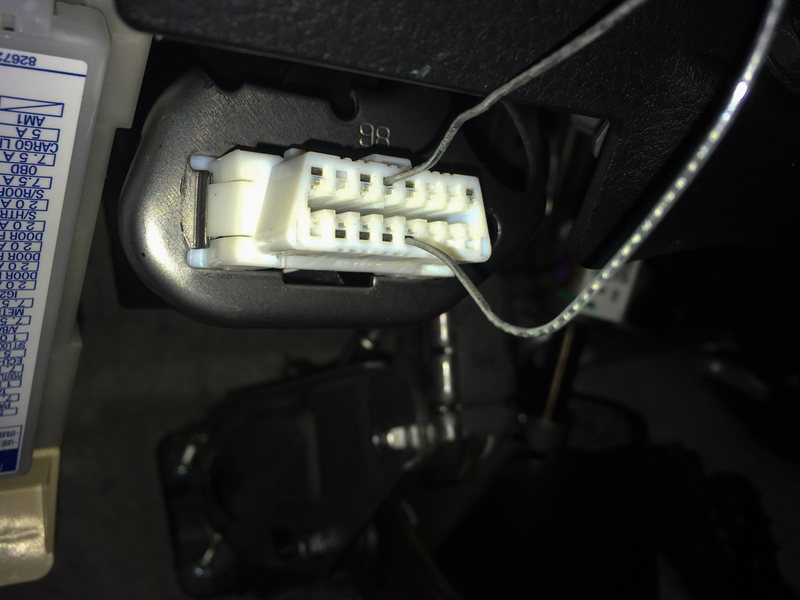 It is located on the passenger side of the transmission toward the back. The plug has “WS” on it. Using the fluid pump, add a quart of fluid through the fill hole. Replace the plug when done. The torque spec is 29 ft-lbs, but the plug has an o-ring on it. This o-ring does the sealing, so proper torque is not critical. I put mine in as the Germans do – guttentight. Note that a 4x4 will look different than the pic below. 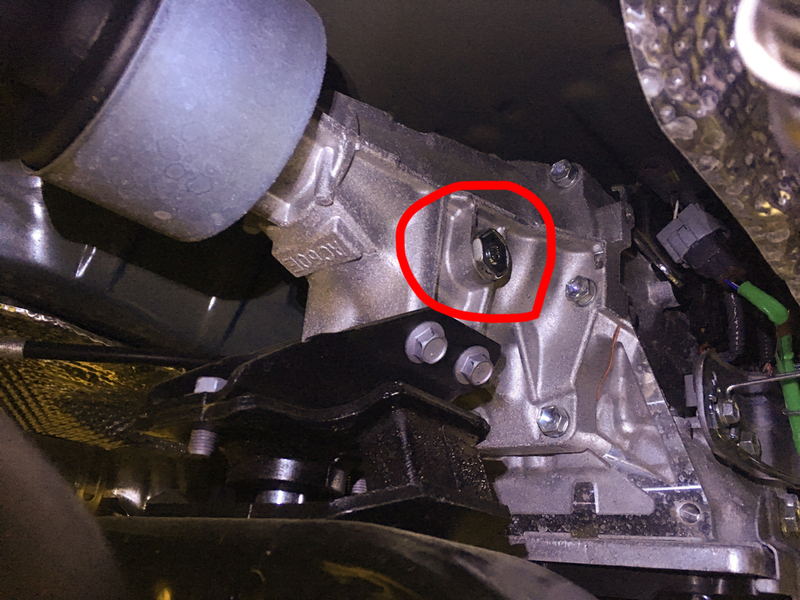 peavey02 has added a photo of the fill plug on the 4x4 in this post. 4. Break loose the overflow plug with the 5mm hex socket. Just get it loose, then finger-tighten it. You will not have time later to fiddle with a socket so get it loose ahead of time so you can back it out by hand quickly. It should not be fully removed until later in the procedure, as there is additional fluid in the pan and all your extra fluid will come out and you will have to start over again. 5. Using a small screwdriver, push in the shaft on the transmission thermostat. Then, slide a 1/16” drill bit through the hole on the side of the housing to hold the shaft in. The thermostat is located toward the front of the transmission. Some say this step is not necessary, others say it is. It takes 15 seconds to do it. Supposedly this thermostat only exists on trucks with the tow package but I can not confirm that. 6. Put your drain pan under the overflow plug, and put your new crush washer on the ground near the pan. Maybe a rubber glove if you don’t want to get your hand oily. And put a rag there while you’re at it. 7. You are now done under the truck. Get your paperclip and jump the #4 and #13 pins on the OBD-II port. This port is under the dash near where you left knee would be when driving. If you have Techstream, it is also possible to get the truck into temp check mode using the software. I did not have access to Techstream when I did this so I used the paperclip method. First an explanation of how it works - when you first put it in temp check mode, the screen shows a D for two seconds, then it goes blank. 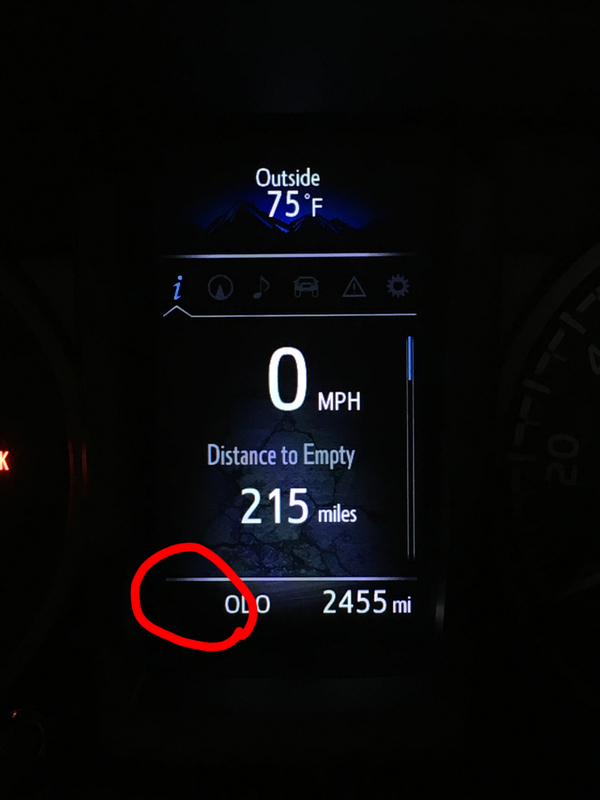 When the truck gets to the correct minimum temperature, it will show a “D” on the screen regardless of whether the shifter is in D, N, or P. As it continues to warm up beyond the maximum temperature, the D will start to blink. If you are not done checking by the time it starts blinking, you need to shut off the truck and start over because it will be too hot. 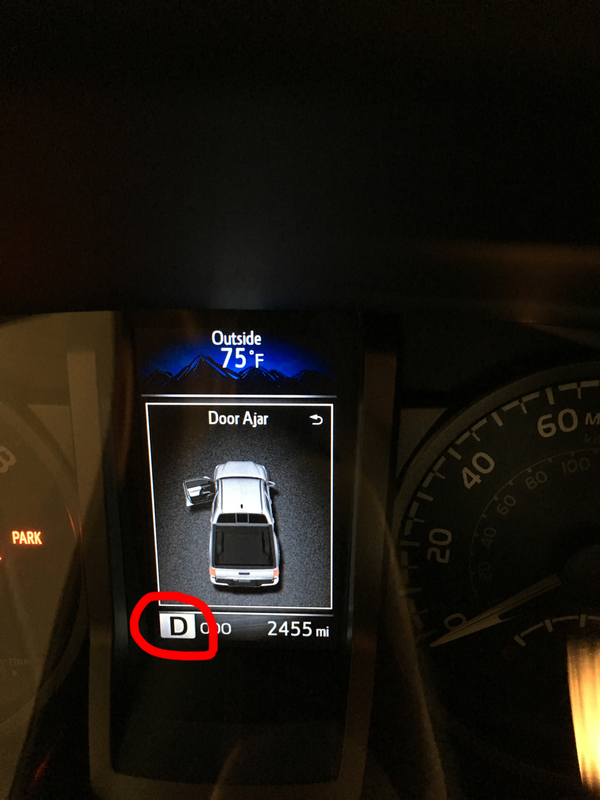 I timed this – it took 8 minutes for the D to appear with ambient temp of 75 degrees. 6 minutes later, the D had not started blinking yet but I turned the truck off as I was done and getting bored. Move the shifter to park, take your foot off the brake, and pull the paperclip out of the OBD port. The error lights will go away. Wait for the D to reappear (approx. 8 minutes depending on ambient temp). 9. When the D is back on the dash, you only have a few minutes to work. Leave the truck running and get under the truck. Remove the overflow plug. You should see fluid come gushing out, then slow to a trickle. Replace the crush washer (remember to remove the old one) and put the plug back in. Torque is 15 ft-lbs but IMO it’s not critical since there is a crush washer - you will know when it is tight enough. If you only see a trickle when you remove the plug, rather than a big gush of fluid, you’re more than 1 quart low and need to go back to step 1 and add another quart (wait for the exhaust to cool off first). 10. Remove the drill bit from the trans thermostat. You will need to depress the shaft with the screwdriver again to get the bit out. 11. Turn the truck off. That’s it! With a procedure this easy, it’s a wonder they ever bothered with dipsticks in the past. mbarbay, Cawolf, AxisCab and 49 others like this. thanks! sounds easier than I thought! Appreciate the detailed layout man, thanks. I'll have to check my ATF when I have time. All the info in this DIY is already available on the forum, but scattered and mostly related to the 2nd Gen. I was able to get the procedure for my Turd Gen (2018 TRD Off Road) but it took me a while. I’m writing this down so it is all in one place for the next guy. My truck shifted normally but I did this check for peace of mind. I ended up being about 1/3qt low so I’m glad I did it. 1. “Safety Third” is my usual motto, but not when I'm getting under a vehicle. Put on your parking brake and chock a wheel, as you will be leaving the truck running and shifting between P and D repeatedly, then getting under the truck. This could go bad quickly so make the truck immobile. 3. Break loose the overflow plug with the 5mm hex socket. Just get it loose, then finger-tighten it. You will not have time later to fiddle with a socket so get it loose ahead of time so you can back it out by hand quickly. It should not be fully removed until later in the procedure, as there is additional fluid in the pan and all your extra fluid will come out and you will have to start over again. 4. Using a small screwdriver, push in the shaft on the transmission thermostat. Then, slide a 1/16” drill bit through the hole on the side of the housing to hold the shaft in. The thermostat is located toward the front of the transmission. Some say this step is not necessary, others say it is. It takes 15 seconds to do it. Supposedly this thermostat only exists on trucks with the tow package but I can not confirm that. 5. Put your drain pan under the overflow plug, and put your new crush washer on the ground near the pan. Maybe a rubber glove if you don’t want to get your hand oily. And put a rag there while you’re at it. 8. When the D is back on the dash, you only have a few minutes to work. Leave the truck running and get under the truck. Remove the overflow plug. You should see fluid come gushing out, then slow to a trickle. Replace the crush washer (remember to remove the old one) and put the plug back in. Torque is 15 ft-lbs but IMO it’s not critical since there is a crush washer - you will know when it is tight enough. If you only see a trickle when you remove the plug, rather than a big gush of fluid, you’re more than 1 quart low and need to go back to step 1 and add another quart (wait for the exhaust to cool off first). 9. Remove the drill bit from the trans thermostat. You will need to depress the shaft with the screwdriver again to get the bit out. 10. Turn the truck off. Where is the fill plug? AxisCab, #4TOY4ME and peavey02 like this. Great guide! Thank you very much. over60 Over70 & still a "Grumpy Old Guy"
2016 Inferno (Punkin) TRD 4X4 Sport DCLB w/upgrade & tech pkg..!! Toyota running boards/Solid Fold 2.0/custom stickers/Anti-Dark LED light under hood/Derped grill/Scoop, etc. Great write up OP and thanx....should be a sticky. I think very much needed as a lot of guys are not comfortable doing this. As you see.... It's VERY easy to do. I'd suggest that you guys that want to do this ,go over the process a few times (dry run) if you still unsure. nice write up. does the truck have to be level? jwest1974 and over60 like this. AxisCab and CT3 like this. Thanks guys. I've added that as Step #1 in my original post.